(Fort Lauderdale, FL) – The work of Anselm Kiefer, one of the world’s most prominent contemporary artists, launches a new exhibition series at NSU Art Museum Fort Lauderdale focusing on post-World War II artists whose work addresses issues of identity and the convergence of history and mythology. Regeneration Series: Anselm Kiefer from the Hall Collection will be on view at NSU Art Museum Fort Lauderdale from November 29, 2016 – August 27, 2017. Drawn from the Hall and Hall Art Foundation collections, which together make up one of the world’s largest groups of works by Anselm Kiefer, the exhibition will include approximately 50 major Kiefer artist books, works on paper, paintings, and sculptures from the late 1960s to the present day. This is the first time that the majority of the Kiefer works from the Hall and Hall Art Foundation collections will be shown together to the public. 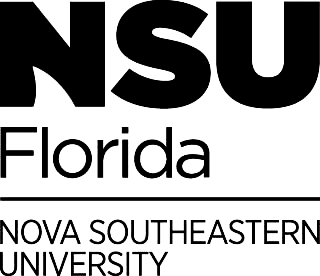 The exhibition is organized by NSU Art Museum Fort Lauderdale in collaboration with the Hall Art Foundation, and is curated by Bonnie Clearwater, NSU Art Museum Director and Chief Curator. An opening reception with the artist will take place on November 28, from 6 to 8 pm. Anselm Kiefer’s work is uncompromising in its response to the disasters of World War II and other historical traumas. Born in Germany during the final month of World War II, Kiefer was among the first generation of German artists to address National Socialism, the war and the Holocaust. From the start of his career in the late 1970s to the present, he has focused on coming to terms with the past, specifically the feeling of collective guilt and the identification of historical, psychological and mythological conditions that contributed to the rise of Adolph Hitler and the Nazi Party. Like German conceptual artist Joseph Beuys, with whom he studied at the Düsseldorf Art Academy, Kiefer confronts the past by referencing such myths as Isis and Osiris, the ancient Egyptian myth of destruction and regeneration, and the history of German philosophy and culture. He explores these subjects in large-scale, narratively complex layered paintings of oil and mixed media, enormous installations, and elaborate artist books and watercolors, into which he embeds symbolic references. Featured in the NSU Art Museum exhibition will be works such as Kiefer’s massive painting, The Fertile Crescent, 2009; his monumental landscape, Winterwald, 2010; imposing glass vitrine tableaux of organic and inorganic material such as Jakob’s Traum, 2010; and important early watercolors and artist books. The opening of NSU Art Museum’s exhibition is timed with Art Basel Miami Beach and also coincides with the permanent exhibition of Kiefer’s monumental installations at the Margulies Collection at the Warehouse in Miami, providing South Florida audiences with the opportunity for a unique immersion into the artist’s work. NSU Art Museum’s Regeneration Series is inspired by its renowned collection of Cobra art of postwar, avant-garde artists from Copenhagen, Brussels and Amsterdam and its growing role as a leading scholarly resource for the exhibition and research of art of this period. Regeneration Series: Anselm Kiefer from the Hall Collection is supported by the Hall Art Foundation, Vontobel Swiss Wealth Advisors AG, and Sandra Muss. Anselm Kiefer is among the best-known German artists working today. He was born in 1945 in Donasueschingen, Germany and has lived and worked in France since 1993. His numerous exhibitions include solo shows at the Museum of Modern Art, New York, the Metropolitan Museum of Art, New York, Guggenheim Museum, Bilbao; Rijksmuseum, Amsterdam, Tel Aviv Museum of Art, and The Royal Academy London, among others. In 2013, the Hall Art Foundation opened a long-term installation of sculpture and paintings by Kiefer in a specifically repurposed 10,000 square-foot building on the campus of the Massachusetts Museum of Contemporary Art that will be on view through 2025. The simultaneous exhibitions at MASS MoCA and at NSU Art Museum together comprise the most comprehensive presentation of Kiefer works from the Hall and Hall Art Foundation collections. In 2007, Anselm Kiefer became the first artist commissioned to install a permanent work at the Louvre, Paris, since George Braque, more than 50 years earlier. The Hall Art Foundation was founded in 2007 and makes available postwar and contemporary art works from its own collection and that of Andrew and Christine Hall for the enjoyment and education of the public. The Hall Art Foundation operates an exhibition space on a former dairy farm in Vermont. The site consists of a converted 19th-century stone farmhouse and three barns located in the village of Reading. The Hall Art Foundation has also formed an exhibition partnership with the Massachusetts Museum of Contemporary Art, in North Adams, Massachusetts, to present monumental outdoor sculpture, in addition to a long-term installation of sculpture and paintings by Anselm Kiefer. The Foundation also recently partnered with the Ashmolean Museum of Art and Archaeology in Oxford, England to present a series of exhibitions of contemporary and postwar art. The Hall Art Foundation collaborates with other public institutions around the world to organize exhibitions and facilitate loans from its own collection and that of the Halls. As part of its educational activities, it has published, co-published and/or provided substantial financial support for the publication of about a dozen books relating to the exhibitions it has organized and co-organized. Together, the Hall and Hall Art Foundation collections comprise some 5,000 works by several hundred artists including Richard Artschwager, Georg Baselitz, Joseph Beuys, Olafur Eliasson, Eric Fischl, Joerg Immendorff, Anselm Kiefer, Malcolm Morley, A. R. Penck, Julian Schnabel, Ed Ruscha, Andy Warhol and Franz West.